Saturday, November 23, 2013, we had an excited (and a little nervous about the weather) group of cyclists who participated as a team in the 2013 El Tour de Tucson event. The team has been training for the past three months in preparation for the race. 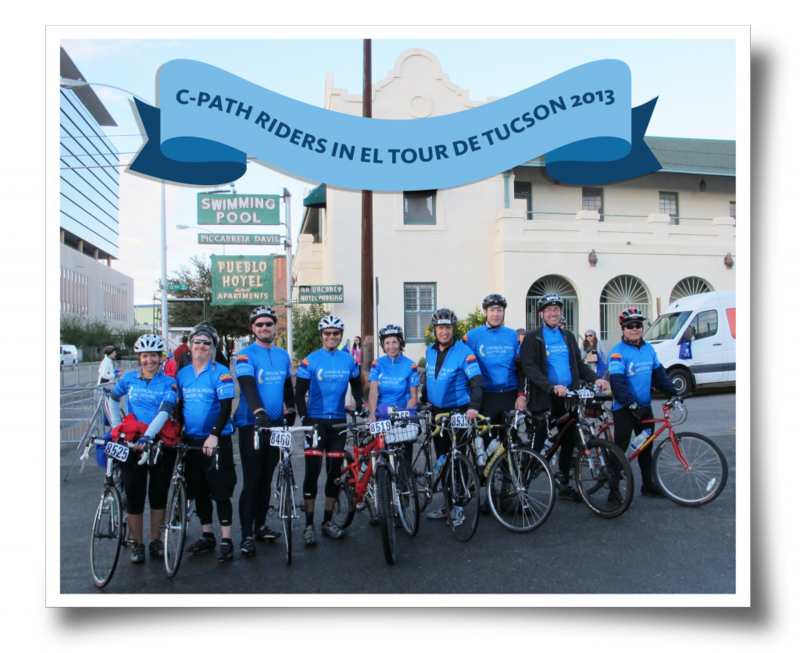 They braved the clouds, the rain, the wind, and the puddles to finish a memorable Tour de Tucson. Diane Stephenson, Bob Stafford, James Nelson, Marty Cisneroz, Lynn Hudson, Gary Lundstrom, Nick King, John-Michael Sauer, Enrique Aviles, not pictured: Bruce Hermes.